Got an award from my Prettypreggy blogger friend chelle thank u so much mwah! mwah! mwah! 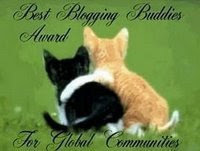 I would like to share this award to my long time friend Lizz mwaaahhh!!! !